Location: On the north side of Main Street at the end of Station Road. Present state: Demolished - a new housing development (West Furlong) has been built on the site of the station. West Furlong is a continuation of Station Road. Notes: Padbury was a later addition to the line opening on 1st March 1968. It consisted of a single platform with a brick building and a single siding. 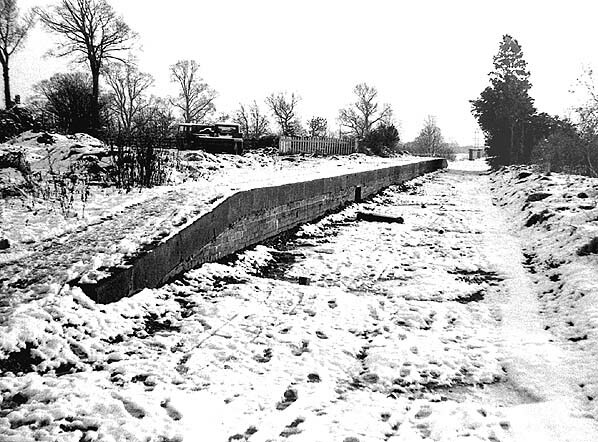 Freight facilities were withdrawn from 6th January 1964. 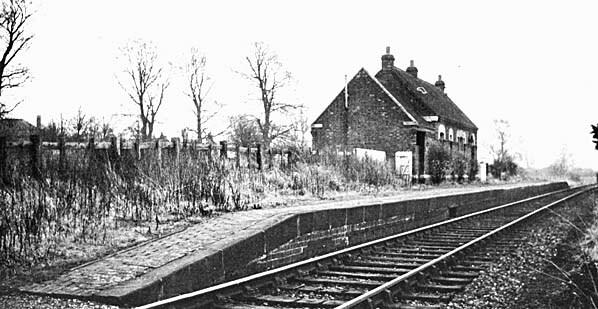 The station buildings were demolished in 1968 and the new housing development was underway by 1975. Construction started on 20th April 1847 and on 1st May 1850 the Buckinghamshire Railway was opened for passenger traffic from Bletchley to Banbury. From the outset the line was worked by the LNWR who absorbed the Buckinghamshire Railway in 1879. The major objective of the branch was the small market town of Buckingham. Until the railway came to the town transport had not been good which it was felt was stopping development of the town. 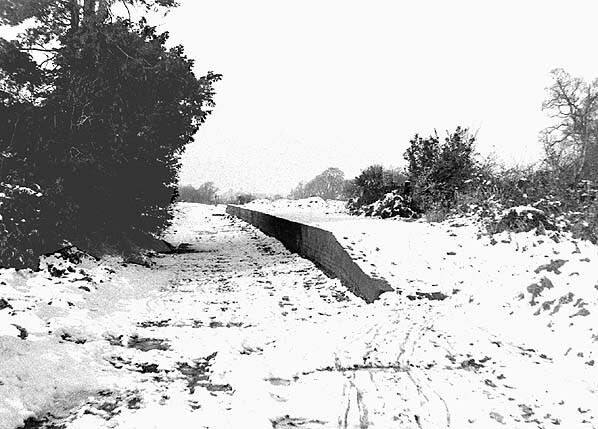 A branch of the Grand Union canal reached Buckingham in 1801 but even after the opening of the canal and the railway little development occurred. The busiest part of the line was the 5 1/2 mile section from Banbury Merton Street to Cockley Brake where there was a junction with the Stratford-upon-Avon and Midland Junction Railway. Passenger traffic over the whole line was comparatively light although the LNWR operated various specials and excursions over the years to encourage use. Passenger levels reached their peak just before WW1 after which they declined more or less continually as competition from the bus and growing car ownership began to increase. WW2 brought a short lived improvement but with new BR management the line was under review. A threat to its future became imminent in 1952 when BR reduced services to three trains each way per day, having withdrawn Banbury - Towcester Trains (via the junction at Cockley Brake) the previous year. In spite of this, the line survived and was selected for an experiment as part of the 1955 Railway Modernisation Plan using lightweight single unit diesel railcars. These railcars were introduced during the summer of 1956 but strangely they only ran from Banbury to Buckingham, where connection was made with the traditional steam push-pull service. New halts at Radclive and Water Stratford were opened between Fulwall & Westbury and Buckingham and a third on the edge of Buckingham was suggested but not built. The new railcars attracted a reported increase in traffic of 400% with the service being well used on market days and Saturdays but the improvement was insufficient to save the service between Buckingham and Banbury which closed from 2nd January 1961. The remaining passenger facilities between Buckingham and Verney Junction lingered until 7th September 1964 using the diesel units transferred from the Banbury section. Freight facilities were withdrawn from Banbury on 6th June 1966 and from Buckingham from 3rd December 1966 with track lifting underway by February 1967.